Encounter the South-glancing Fitzgeralds, Chinese revolutions both Cultural and capitalist, prison heroin experiments, the courtship of George Washington, a young life spent traveling rivers in over fifty lands, and a cinematic effects artist who has helped create the geography of dreamy films such as Avatar. 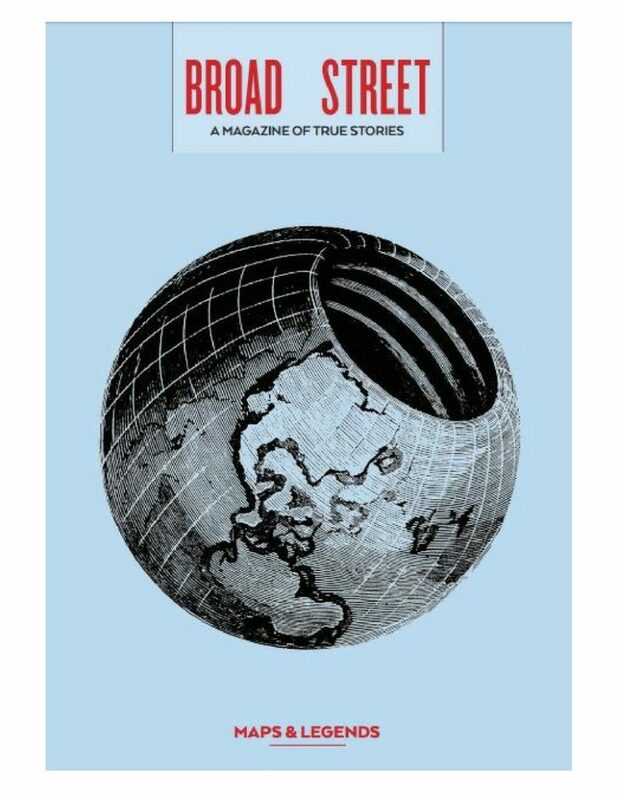 Look for the cover featuring the incredible “real” map of the concentric and hollow Earth. Copies are also in bookstores and, of course, available for purchase online or order by mail. Meanwhile, why not tour our contents with the sampler found here? Julie Anderson is an idealist in China’s capitalist revolution in 1990, and she compares her experiences to those of Americans during the Cultural Revolution. Bea Chang explores rivers and their meaning in over fifty countries. Bradley Dicharry photographs letterforms, chronicling America through its typography. TyRuben Ellingson talks about designing and art-directing special effects for movies such as Avatar and Hellboy. Masami Inoue is at home with watercolor and Photoshop. Deborah Jiang-Stein discovers her mother was given “generous bonus doses” of heroin in prison. Harry Kollatz, Jr., investigates the history of the U.S. as seen in the microcosm around Broad Street‘s offices. Bryant Mangum and some grad-school friends set out to find the Fitzgeralds’ original gravesite in 1970, occasioning Mangum’s reflection on flappers, Southern belles, and the new codes for women. Kat Meads remembers a photo that should remind her of home. Matthew Phipps is the one who got TyRuben Ellingson to share so many trade secrets–and tell us why it’s sometimes best not to live in L.A.
Amira Pierce strolls along the Corniche Beirut. Ron Smith’s poems capture history, place, and psyche. Lee Strasburger paints water, lightning, and the gaze. She also photographs. Eric Van Marter has a surprise at Cadillac Ranch. Henry Walters‘s poems take a dip into Latin America. Mark Wyatt‘s photographs of China reflect the changing culture. Learn more about our contributors themselves by visiting the sampler. Previous postGrieving (and celebrating) Marylen Grigas. Next postShare This Poem: "A Hypochondriac's Guide to the Body," by Marylen Grigas.